Nov. 8 (NBD) -- The road ahead for cash-strapped Chinese bike-sharing firm Ofo is getting increasingly tougher. A few suppliers have discontinued the production of Ofo bikes, China Securities Journal found in field visits. 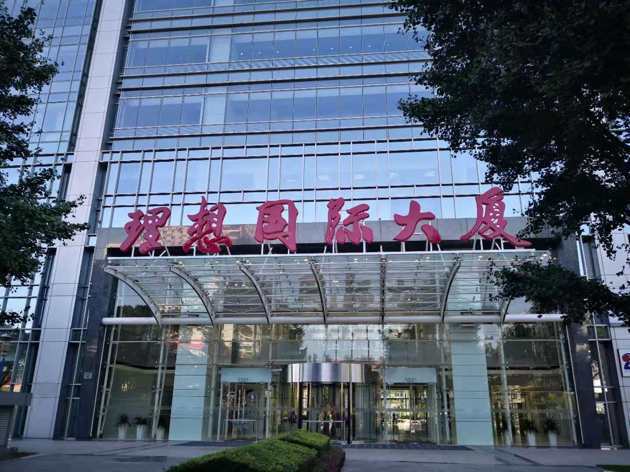 A few days ago, reports emerged that Ofo employees have successively moved out of the corporate headquarters in Beijing. According to public information, Shanghai Phoenix, Tianjin Fuji-ta and Flying Pigeon are all bike suppliers to Ofo. A reporter with China Securities Journal paid visits to Fuji-ta's two factories in Tianjin Sunday, finding a lot of Bluegogo and Didi bikes there but no sign of Ofo bikes. One Fuji-ta employee said to the reporter that his company produced around 150,000 bikes for Ofo, but the production was discontinued in the first half of last year. The situation was similar in Flying Pigeon. The other partner, Shanghai Phoenix, saw orders from Ofo drop steeply this year, according to the company's securities affairs representative Zhu Pengcheng. 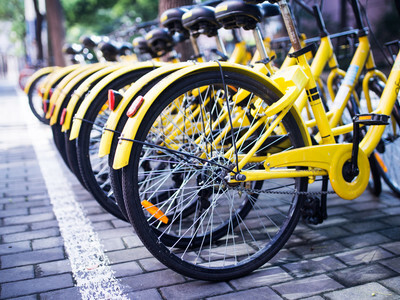 Not long ago, the bike producer brought Ofo to the court, claiming the bike-sharing startup's operating entity Dongxia Datong has defaulted on around 68.2 million yuan (9.9 million U.S. dollars) in payments. The case is currently awaiting judgment, and of course, Shanghai Phoenix won't take new orders from Ofo due to the pending case, Zhu said. One Ofo employee said to China Securities Journal that the bike-sharing firm has relocated its headquarters to the Zhongguancun Internet Finance Center in Beijing. In a previous interview, Ofo's PR director told NBD the firm moved out of its headquarters at Ideal International Plaza due to the expiration of the lease. The new decision was made based on its current development and cost accounting. In late October, news outlet Jiemian reported a security intermediary agency has begun working on a bankruptcy reorganization plan for Ofo, and the bike-sharing company's overall debts stood at roughly 6.5 billion yuan (939.8 million U.S. dollars) about half a year ago, of which user deposits were worth around 3.7 billion yuan (535.0 million U.S. dollars). In response, Ofo told NBD that the report is nonsense. The company is operating in an orderly manner. It is worth noting that in late October, Dai Wei, founder and chief executive of Ofo, relinquished the role of legal representative at Dongxia Datong, according to information from the National Company Credit Information System. With regard to this, the bike-sharing firm explained the change is a mere personnel change in the company, and Dai remains the firm's actual controller. Ofo has put 14 million sharable bikes into the market to date. Data from market research institute Analysys shows the company ranked top among bike-sharing brands in September this year with about 28 million active users. The boom of the bike-sharing industry in the past two years strongly boosted the bike manufacturing sector, resulting in a considerable increase in bike output, said Sun Naiyue, an analyst at Analysys. However, the output is gradually declining with the saturation of the bike-sharing market in the first- and second-tier cities and increasingly tightened regulation over the sector. The rise of the bike-sharing sector accelerates the reshuffle of the bike manufacturing industry. To bike producers, staying afloat is now the top priority, said a source with a listed bike manufacturing company. Looking back, it can be seen the bike industry is highly competitive, and players are mostly private or small ones and make quite low profits. The profitability will continue to fall with the shrinking production capacity, and bike producers will therefore have a tough time, the source noted.